Tjeeeeena! How's your week going" I haven't had a chance to say a big THANK YOU for responding to my survey last week! Such invaluable help. It looks like my new project might just hit the ground after all. Watch this space! Speaking of entrepreneurship, allow me introduce you to Jaimi Brooks. Jaimi is a California based marriage and family therapist who also regularly conducts Entrepreneurial Women's groups and special topic group sessions at her wonderful house in Tarzana, LA. The house is located at the top of the Santa Monica mountains against Mulholland Preserve (please see my note below about the wildfires). 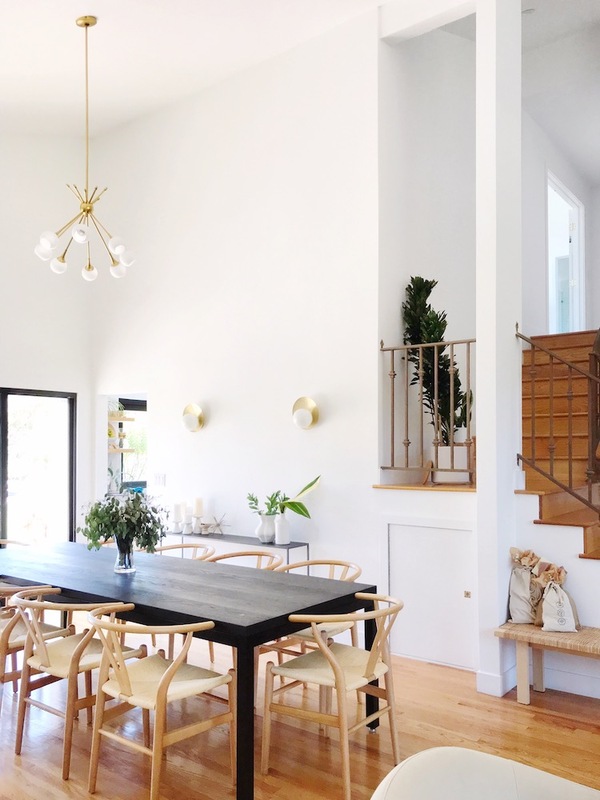 Inside, the space has been given an incredible overhaul by interior designer Sarah Sherman - think 25 foot high ceilings, arches, white washed walls and contemporary pieces. Love this! What a great space! I wonder if my new project will require me to travel to LA for one of the Entrepreneurial Women's sessions" A girl can dream, right"! Did you see the 'hand' chair" Seriously, what are the chances of spotting two 'hand' shaped chairs in the space of one week (the other one was in this home in case you missed it)" Are we allowed to call this a new micro trend" If so, you heard about it first on My Scandinavian Homet! Is there anything that stood out to you about this home"